A fee will be charged for the use of the Hambledon Cottage grounds, based on the nature, size and time of the event. The level of this fee will be assessed after receipt of the application. The normal fee for wedding ceremonies is $200.00 and for photographs only is $150.00. A non-refundable holding deposit (administration fee) of 25% being required to secure a booking. Full payment of the remaining amount (the event fee) is required at least 4 weeks in advance of the event. Refunds of 50% of the event fee will be made due to adverse weather conditions if agreed with the Society at least an hour prior to the event, or for any other reason if advised at least 2 weeks prior to the event. 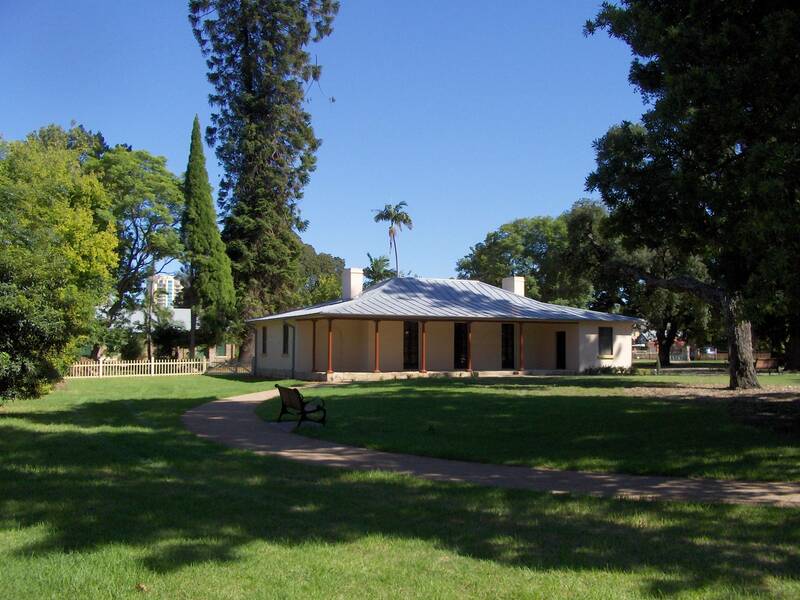 Payments should be made by cheque to the Parramatta and District Historical Society at PO Box 1384, Parramatta, 2124. Events, such as Wedding ceremonies, Wedding photographs or similar events, are able to be held at Hambledon Cottage. Unfortunately, events cannot be held in any rooms within the cottage but can be held on the eastern verandah of the cottage or, subject to a maximum of 20 people, in the gardens behind the cottage. Photographs can be taken outside the cottage, or in the gardens behind the cottage (wedding party only). The Hirer must ensure that any Third Parties engaged for the event, such as Event organiser, wedding celebrant, wedding photographer, etc., must have in place a Public Liability Insurance of not less than $10,000,000 for themselves and their legal liability (i.e. Workers’ Compensation, Liability insurance, etc.). A copy of the Certificate of Currency for this Public Liability Insurance must be provided prior to or with the full payment of the Fee, otherwise the event cannot be held. Events can be held at Hambledon Cottage between 9am and 6pm. There is a small carpark within the grounds available for car parking. In addition, there is further car parking available in Gregory Place. No vehicles (motor or horse-drawn) are to be parked or moved across the grassed areas of the park. Noise from public address systems, amplifiers or musical instruments must be kept to a level that does not interfere with or cause nuisance to the use and enjoyment of other people in the vicinity of the event. All waste, rubbish and litter, including cigarette butts, must be removed from the site or placed in the rubbish bin in the park. Confetti, rose petals, party poppers and the like may not be used on the Eastern verandah of the cottage or within the cottage gardens. No decorations, signage, etc. can be attached to the cottage building. Limited toilet facilities are available for guest at the event. If required, a temporary domestic electricity supply can be provided. Please advise if needed. A table and a few chairs can be provided for the event, if required. Please advise if needed. The Hirer is responsible for the cost of any damage caused in association with the event. Confirmation of the booking will be issued by Parramatta and District Historical Society and forwarded to the Hirer, after approval of the event. I have read and understood the foregoing and acknowledge that failure to observe the conditions of hire may result in cancellation of my booking. I confirm that I am authorised to sign this declaration.